Hello! I’m Joanna Danielle, but please call me Jo. 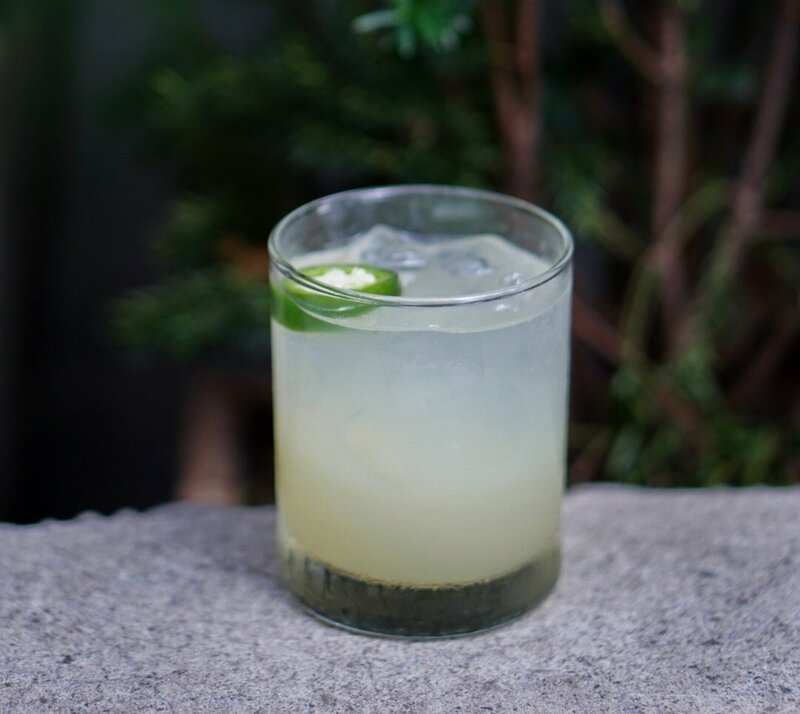 As Tanteo’s newest copywriter, I’ll be sliding into the Tanteo blog to talk about all things spicy tequila, from the perfectly sliced lime wedge (see below) to the rich history of Tanteo’s spirits production. I’m a writer living in New York City, and had my first taste of tequila sitting on my family’s deck in Maryland in the early aughts, when I snuck a sip of my mom’s enticingly fresh margarita. The summer sweat was real that day, and the pearls of salt on my mom’s glass looked almost opulent. I’ve never been able to think of tequila as anything but refreshingly regal ever since. Speaking of lavish imbibing, Valentine’s Day is nearly here, and it’s time to put your money where your mouth is—literally. No need for cliches and crowded restaurants, though; much better to make it extra spicy at home. If you’re still noodling on how to spice up your V-Day operation, whether for a date, mate, or yourself, consider spending the evening testing your mixology skills. Here are five spicy cocktail recipes—with suggested snack pairings—to impress your date, or otherwise heat up the night. This hot and fruity twist on a classic cocktail will get your blood pumping. The fresh blood oranges add a bit of crisp to your sip, and the result is fiery yet refreshing. If you want to go all out, consider using a manual juicer to squeeze the juice into your concoction. Tanteo’s habanero tequila also makes a perfect marinade for a tropical fruit salsa—mix up a batch with mangos or pineapples to smother on top of a side of tacos or nachos. It’s Valentine’s Day—skip right to dessert if it pleases your heart. For a nightcap, don’t be intimidated by the oft-overlooked beet; its sugar content and brilliant color makes it the quintessential surprise ingredient for a little bit of sweet heat in your cocktail. Pair it with a dessert panna cotta for a velvety finish to a smooth evening. Have a leftover bell pepper in your fridge? Perfect. Purée it to mix up a red pepper margarita with Tanteo’s chipotle tequila. Garnish it with a diagonally sliced lime wedge for a polished presentation (cut the lime in half first, then make a lateral incision across the middle, flip it, and cut along the incision to make clean slices). It’s smokey and savory and will pair nicely with a spicy chickpea dip to whet your appetite. Tanteo Jalapeño is our most popular infused tequila. Try this simple yet exquisite drink with another date-worthy classic—splendidly spiced guacamole. You’ve got some of that blood orange juice left over, right? Great. Mix it with some grenadine and tequila and find a shot glass. Then throw some Tanteo Jalapeño Salt on top of your leftover limes or any other fruit (try a salted pear—you won’t be disappointed) you have on hand. We’ll let you take the rest from here. Here’s to a hot and spicy Valentine’s Day. Talk to you next time!